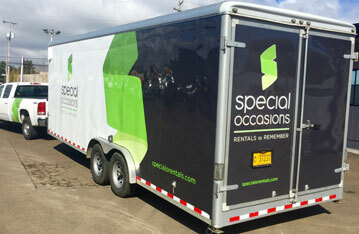 At Special Occasions, our mission is to provide superior customer service and high quality, well maintained event equipment to our partners and clients. We will continue to meet the needs of clients by staying current in trends and surpassing their expectations in service with our team members who are treated with respect and take ownership in our organization and processes. Our family owned business was opened in 1986 in a spacious 2400 square foot building on Ninth Street in Corvallis, OR. In 1993, we moved a block North to an expansive 7000 square feet building that provided us room to grow. Fast forward to present day and we occupy a total of over 20,000 square feet of show room and warehousing space! With the second generation of family ownership now running the business, there continues to be a strong sense of pride throughout the entire company to uphold our product and customer service standards. We continue to be located in Corvallis OR but travel to destinations near and far to help our clients execute their events. It is our consistency in quality and service that has our clients taking us to perform work for them in Seattle, the beautiful Oregon Coast, Central Oregon, and all throughout the Willamette Valley. 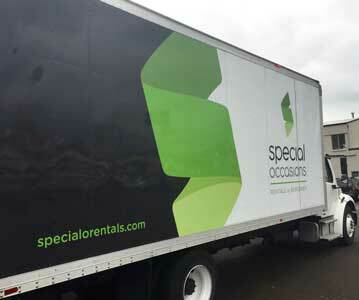 When you choose to work with Special Occasions, you are selecting a professional, knowledgeable and dependable team with hundreds of thousands of items in inventory who have been in business for 33 years.